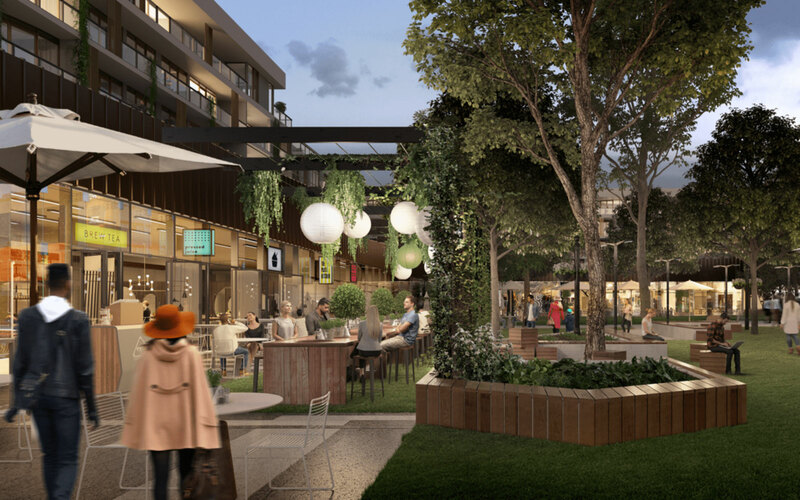 Developer Guy Nelson has won planning approval for a $400 million mixed use project, the town centre for the development of the former Amcor paper mill site at Alphington, in inner-city Melbourne. The approval is the culmination of a five-year journey in which Mr Nelson, a former investment banker, has structured a series of deals to create an ambitious residential and commercial development across the 16.5-hectare site. In the latest chapter, Mr Nelson's Alpha Partners has the green light to develop on the 2.1ha slice of the site he still holds. It includes a retail centre anchored by Coles, commercial office space, a community centre and a vertical primary school. Three towers above the retail centre will comprise 317 residential apartments. Mr Nelson put together a $120 million deal in 2013 with Glenvill Group, through which the residential developer took over about 70 per cent of the site. That section is well underway as Glenvill pursues a $1.5 billion development, notwithstanding a legal dispute with Amcor over clean-up costs on the old paper mill site. Meanwhile, Mr Nelson has continued the process on his section, selling down separate chunks to residential developer Caydon for $29 million and to aged care operator Arc Care. It is expected about 2500 dwellings combined will be delivered across Glenvill's YarraBend estate and the Alpha Partners project. There were further deals to be done, with Mr Nelson providing a component of affordable housing to meet the inclusionary zoning requirements on the Amcor site. The affordable apartments will be run by Community Housing, which has taken a 10-year lease on 141 units, through a unique build-to-rent style arrangement with Mr Nelson. The vertical school will house primary year students in a separate agreement with the state government. Mr Nelson said his section of the site would deliver community services and retail sorely needed in the quiet suburb of Alphington. "In working out the masterplan, yes there was a need for a whole lot of housing of different shapes and sizes, but there needed to be a community heart for the whole place," he told The Australian Financial Review. "This is the jewel in the crown, five years after we bought it." There are about 20,000 square metres of available tenancies. Half of that is for retail, with about 4500sq m already pre-committed by Coles in a full-line supermarket. Icon Constructions is the preferred builder for project with construction expected to begin in November.